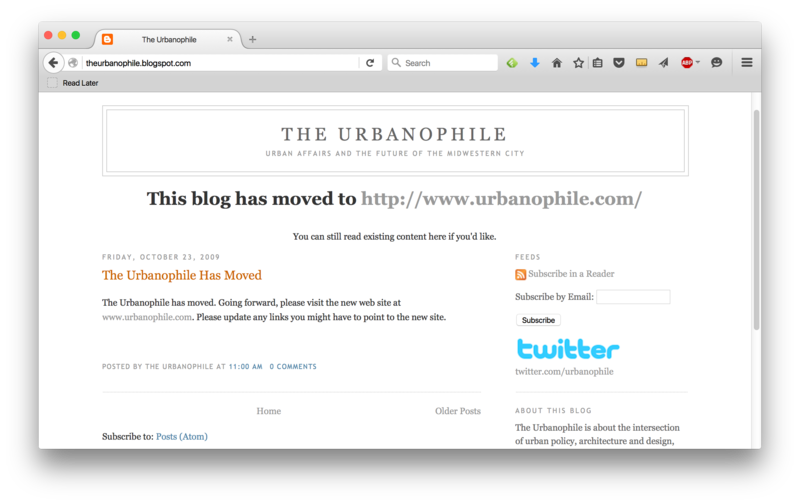 A screenshot of my original The Urbanophile blog, still redirecting after all these years. Two of the most common questions I’ve been asked over my years of blogging are 1) What is it that you actually do? and 2) How can I do what it is you do? I mentioned that I planned to expand my topical coverage this year. One of them is going to be sharing more about what I have learned over my nine years of blogging. I came to blogging from a tech background, but had mostly done corporate “business to business” type work. While I had been an active internet junkie going back to my college days when I was all over Usenet and IRC, I wasn’t really any kind of social media guru or internet marketing genius. I’m still not, but I did manage to pick up a few things over the years. I had to learn a lot of them the hard way, so hopefully some of you can benefit from what I’ve experienced. One of the first epiphanies I had was the difference between having a corporate brand and a personal brand. I originally started this blog on Blogger under the pseudonym “The Urbanophile.” When I did it, I was still working at Accenture, my long time employer. Accenture was and is a great company. In fact, when I started there originally, it was so prestigious that it could get away with paying below market. For most of the people I started with, Accenture was their lowest paying job offer. They could get away with this because there was a lot of value in the consulting experience out of school, but also because the Accenture (at the time Andersen Consulting) brand on a resume meant something. Even for people who only stayed there a couple years – which many did, their doing so actually built into the “up or out” model of professional services firms – it was very worthwhile. I turned out to be a long-timer, ending up at the company for around 15 years across two stints. About a year after I started blogging, something happened that had ever happened to me before in my career. Out of the blue, I got an email from the head of a billion dollar government agency who wanted to talk to me about challenges he was wrestling with in his job. While I couldn’t take him on as a consulting client because of the nature of my day job, I was happy to meet and chat about his challenges. No head of a billion dollar company ever called me up like that in my job with Accenture. It was then that I started to piece together the difference between a personal brand and a corporate brand. I had a great corporate brand in Accenture. I was able to put that on my resume to good effect. But no one in the marketplace outside of the relatively small number of client people I had worked with knew who I was. The marketplace knew Accenture, but it didn’t know me. I had a corporate brand, but no personal brand. Later, this lesson was driven home to me when I started getting quoted in the media. In fact, in 2009 I actually got my picture on the cover of the Chicago Tribune for winning a transit innovation contest. As with many things in life, nobody wants to quote you if nobody has quoted you. So after a major feature article on me in a legit publication, my phone started ringing with reporters. This was actually the beginning of the end for me at Accenture. My boss and department were very supportive of me and were happy for me to get in the paper. But I knew it would ultimately cause a problem. For one thing, Accenture as a company culturally always frowned on extra-curricular activities. I’m not sure if that’s still the case today, but historically the culture was about channeling what you did through the company in some way. Also, the big bosses there – I was a partner, but a low ranking one in a group 4,000 strong – were also very keen to get themselves in the papers. They had big marketing staffs and budgets designed to get op-eds placed, etc. For some random guy in the organization to get very prominent media placement on his own, and without the corporate affiliation, would not be viewed enthusiastically. Probably not at any major corporation. So I ended up deciding to venture out on my own, in what was a very amicable parting. I am still very positive on Accenture. But I wanted to develop my own personal brand more. 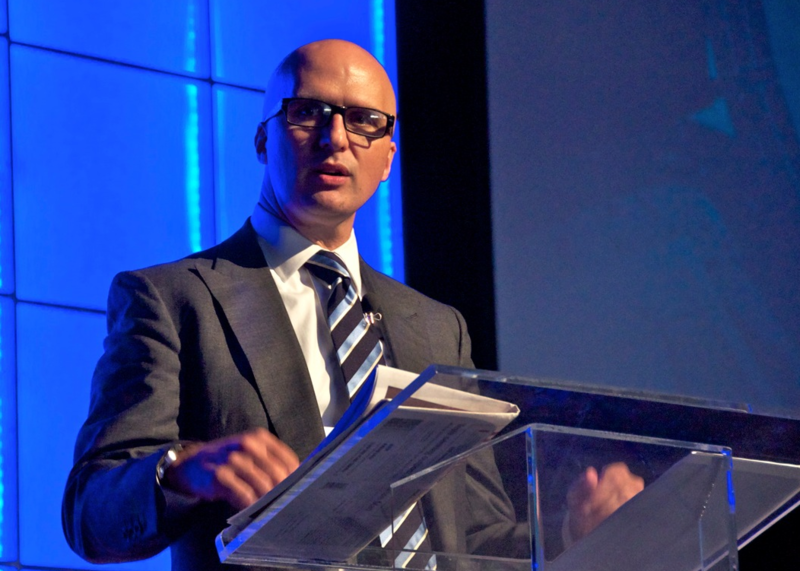 I realized that as long as I stayed at Accenture, I would always be personally anonymous in the marketplace. If you think about it, there is an incentive for corporations to keep their employees anonymous. It lowers risk. It keeps the corporate brand pure. And it reduces employee leverage. Resultantly, lots of people in the world today have nothing to sell themselves with in the market but the name of their employer. That might have even made sense back in the day of monolithic corporations and lifetime or at least long term employment. But in today’s dynamic marketplace and networked business world, where job tenures are often short, being personally invisible in the market hurts you in the long run. That’s especially true if you find yourself out on the street for some reason (like a merger). Today, corporate brands are still valuable, but you also have to think about your personal brand and personal marketplace presence too. The strategy on how to build your personal brand isn’t obvious or clear, nor will it be the same for everyone. Realistically, it may be tough at many corporations. Which might be another reason to avoid big firms and industries that are very traditional in favor of ones like tech where even the bosses “get it” on the new economy world. But there are plenty of people who would appear to have open opportunity to build a personal brand and haven’t done it. Think about newspaper reporters. If you read the New York Times’ page one articles today on the capture of El Chapo, ask yourself this question: Who wrote them? Odds are you don’t remember and probably didn’t even notice. Reporters have their bylines on every story, but most people couldn’t name more than a handful of reporters at the NYT or WSJ. And the people you probably can name are likely to be opinion writers. The most savvy journalists today are ones that are out engaging on social media and doing other things to build up a personal connection with their audience, not just relying on their employer’s brand, no matter how powerful it might be (like the NYT). One of NYT’s El Chapo reporters, Ravi Somaiya, actually has done a lot on this, so good for him – follow him on twitter. Think also about what someone like Ezra Klein has accomplished, for example. While the exact choices will be different for everybody, I think a key question people need to ask themselves today is: does the marketplace know about me personally, or just the company I work for? That doesn’t necessarily mean start blogging. In fact, my strong caution would be to think twice before starting a blog. But it’s a critical question to answer. Because if I hadn’t developed a personal brand and marketplace presence through blogging, you wouldn’t know who I am. I wouldn’t have met half the people I know. And I would have missed out on a huge number of opportunities that have come my way as a result. interesting post. looking forward to more of them. 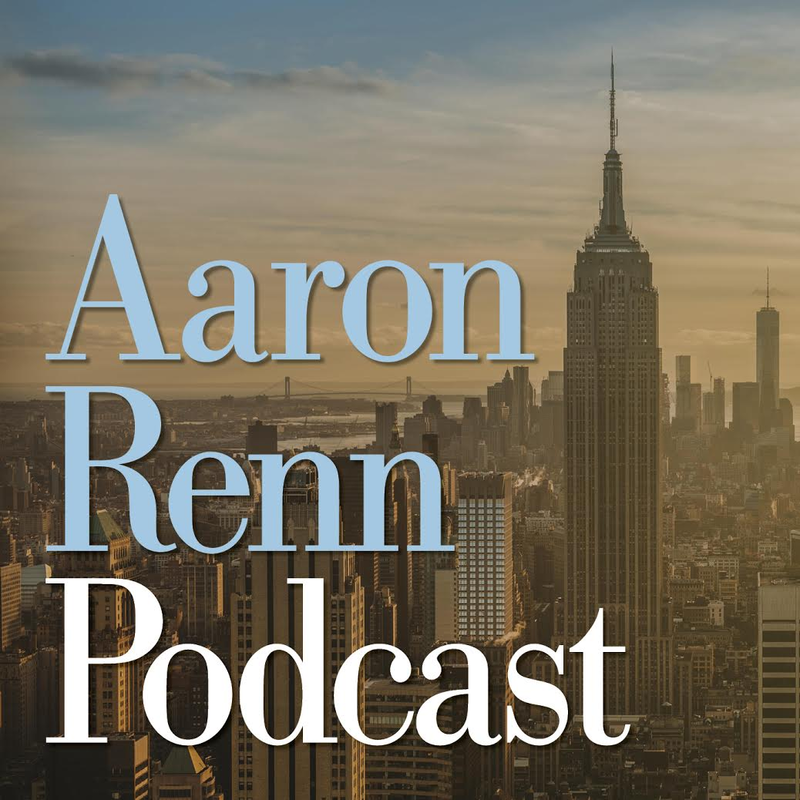 did you also just rebrand this blog itself with Aaron Renn in the header? Yes, I just updated the title bar and am changing the branding. That’s not related to this post specifically, though. I was planning a web site redo and the guy I was working with suggested a name change. After thinking about it, I agreed with him. So here we are. Now that you do the same thing within a corporate structure, your name is attached to/co-branded with The Manhattan Institute, and that’s a brand with more backstory and a bigger body of work. I guess it makes sense to “deactivate” The Urbanophile. Glad you like the new site. Thanks Aaron. This is very useful and fascinating. I don’t comment much, but I’ve been reading your work for about a year now. I’ve often wondered how you got started, and personal branding is a topic I’ve started seriously considering (I am a writer for a small consulting firm focused on community engagement). This is a very useful post. I look forward to reading more. Thank you, as always, for your great insights. So, will you be answering the other question in a future post? Ah. I work for a think tank. My activities mostly involve writing articles (for our magazine City Journal, my blog, and elsewhere), writing research reports (I’m currently working on one about sewers), speaking to various organizations around the country (as well as the news media), and participating in other internal events we host. The issue is this: not everyone is a salesman. In fact, one “theory of the firm” is that it’s purpose is to get work for the workers. I have a brother in law who runs a trade magazine. I asked him what was the most important aspect of his business, producing or selling. He said without hesitation — selling. He paid my daughter, who was in high school at the time, to produce some of his content, and said it was better than much of what he gets from the professional he hires. But he sells those ads. I work for a real estate information firm. The people who make the most money in the firm are the salespeople who get companies to sign up for subscriptions. But I don’t resent that, because if I wanted to I could apply for one of those jobs — jobs that have enormous turnover, up or out. Moreover, some of the posts I’ve written that have been the most read have been those linked or tweeted by this or other blogs. Successful salespeople tell people what they want to hear — Donald Trump for example. Who knows what he would actually do as President? Ticked off bloggers like myself feel compelled to tell people what they don’t want to hear. That isn’t a great career choice in the Generation Greed era, so you’d better not be doing in for a living. Well that isn’t exactly true. If the vacancy rate is going up and the level of employment is going down in some metro area, the people who buy the reports I write on the job actually want to know this. But those jobs are few and far between, and they aren’t any with regard to public policy.